Nashville offers several vintage shopping options with some of the best found in East Nashville. 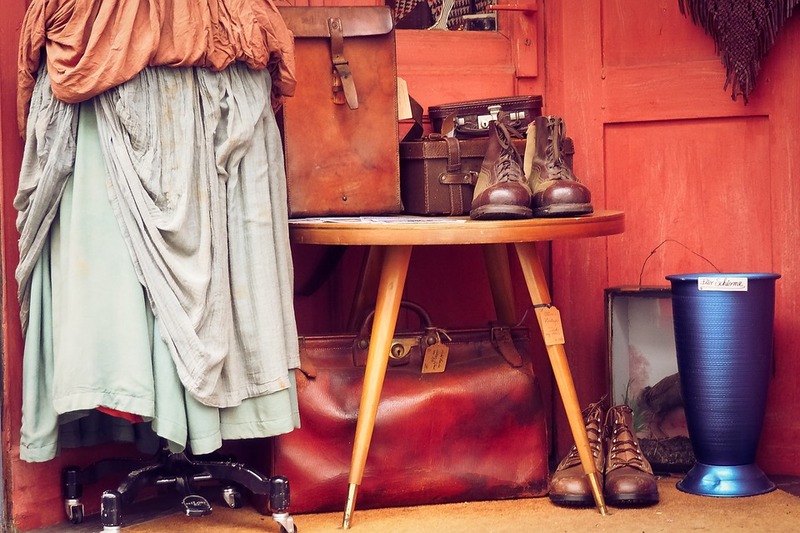 Whether you live in this neighborhood or you’re just looking to enjoy it for the day, you need to know where to go for all your vintage goods. East Nashville is home to several vintage clothing shops, furniture stores and other types of vintage shops. When you’re headed out for a day of vintage shopping, the East Side is the place for you. Here are some of the top spots to for vintages shopping in East Nashville. An Inglewood favorite, Old Made Good offer a top spot for home goods, furniture and decor items. It used to be found in a smaller building with far less to offer, but the larger location now offers all types of vintage items including handmade art and some jewelry, too. A Porter location, Pony Show offers a great vintage shop with new and curated items. You’ll find old motorcycle jackets, earrings, new pins and so much more here. A great spot in Five Points, Hip Zipper offers the spot for vintages good. It’s filled with vintage clothing and accessories and you won’t have to break the bank shopping here. You’ll find clothing for men, women and children with all types of options. Found in the Idea Hatchery, Goodbuy Girls isn’t just a vintage shop. They carry new items, as well, but most of their new items tend to provide a throwback type of vibe. The shop offers a great spot for vintage boots and plenty of other vintage items. Located in the Fatherland District, Rusty Rats offers plenty of unique vintage home goods. You’ll find unique items that have been repurposed, retro toys, rusty horseshoes and much more here. This is one of those spots where it’s always a surprise. You will likely find something odd, something weird and plenty of interesting items at Rusty Rats. Ran by a musician, this shop offers plenty of great vintage rock ‘n’ roll items. You’ll find vintage t-shirts, leather jackets, denim jackets, retro patches and more here. You can even buy online through the Black Shag website. Another spot owned by a musician in East Nashville, this vintage shop offers a great place for cowboy boots and Western items. You’ll find plenty of belt buckles at High Class Hillbilly and they even have vintage kids clothing. You may even find an old 3-pc Mariachi Set or a Chinese dress from the 1940s. The East Nashville area offers plenty of other great vintage shops. These are just a few of the very popular offerings. As you discover each of these stores, you’ll likely find a few more nearby with plenty of great vintage goods to browse and purchase.